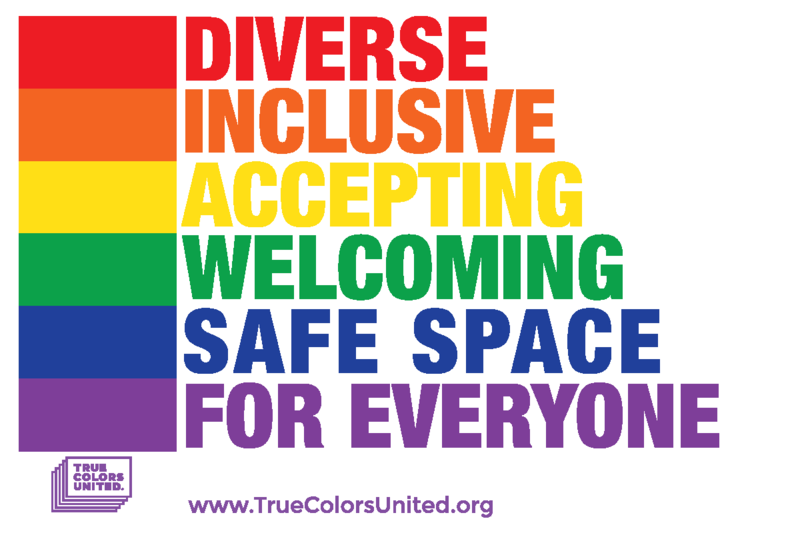 True Colors United | Why LGBTQ Youth Homelessness? Home » #TrueColorsDay » Why LGBTQ Youth Homelessness? Photo by Chanelle Henry, some rights reserved. Since True Colors United was founded, people have been asking us the same question: “Why LGBTQ youth?” It’s time we revisit this question. We know homelessness affects all sorts of young people. So why does True Colors United focus on the experiences of LGBTQ youth? Here are three reasons. 1. LGBTQ youth have a 120% higher risk of homelessness. Think about that for a second. According to a new study, LGBTQ young people are 120% more likely to experience homelessness than non-LGBTQ youth. Right off the bat, these young people are presented with an uneven playing field. True Colors United is working to level that field, so that LGBTQ youth are no more likely to experience homelessness than anyone else. We’ve seen this higher risk reflected in our research. Let’s break it down… It’s estimated that about 7% of youth in the United States are LGBTQ, while 40% of youth experiencing homelessness are LGBTQ. Knowing that LGBTQ youth face high risk of homelessness, it’s not enough to simply end homelessness – but to prevent it from occurring in the first place. In order to do that, we need to know why LGBTQ youth are at such a high risk. 2. LGBTQ youth experience homelessness for unique reasons. According to our research, the most common reason LGBTQ youth experience homelessness is family rejection due to their sexual orientation or gender identity. Half of all youth get a negative reaction from their parents when they come out to them. More than 1 in 4 are thrown out of their homes. That’s why safe spaces are so important. It’s more than just about “feeling” safe – it’s about physical safety too. When a school, family, workplace, or any type of community is serious about LGBTQ inclusion, young people know they’re welcome, valued, and set up for success. Creating a culture of inclusion is a powerful way to prevent homelessness – and something anyone can do! While rejection is the most frequently cited reason LGBTQ youth experience homelessness, it’s not the only one. According to service providers, additional reasons include aging out of the foster care system, poverty, and abuse in the home. Often, it’s not one thing that causes homelessness, but a combination of many. To end youth homelessness, we need to understand how different factors affect different communities. 3. LGBTQ youth experiencing homelessness have unique needs. LGBTQ youth experience homelessness at higher rates than non-LGBTQ youth and are more at-risk of violence and negative health outcomes while experiencing homelessness. LGBTQ youth also experience homelessness for longer periods of time than non-LGBTQ youth. Remember what we said about the power of safe spaces to prevent homelessness? Homeless shelters and service providers need to be safe for LGBTQ youth too. Often, LGBTQ youth experiencing homelessness avoid getting help out of fear of discrimination. Many service providers want to help LGBTQ young people, but don’t have the knowledge or resources to do so effectively. Through programs like the True Colors Inclusion Assessment and resources available through the True Colors Learning Community, we’re helping service providers across the country to meet the needs of every youth who steps through their door – regardless of their sexual orientation or gender identity. No one deserves to be homeless, let alone because of their sexual orientation or gender identity. By making our own communities welcoming and affirming of LGBTQ youth, we can help prevent all young people from experiencing homelessness. And by helping shelters and service providers become more LGBTQ-inclusive, we can help more young people get the support they need. In other words, if we can ensure that services are safe and affirming of the most marginalized young people, we can be confident that they’ll be safe and affirming for all youth.